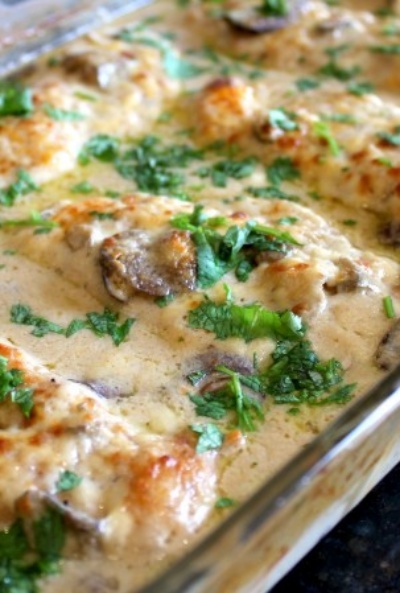 This Mom’s Chicken A La Gloria is delicious and easy ! We had for dinner last night and everyone enjoyed it. Served with brown rice and salad.